Summer, Back to School, Black Friday, Christmas... End-of-year sales are vital to e-commerce, but preparing them can take up a lot of valuable time. 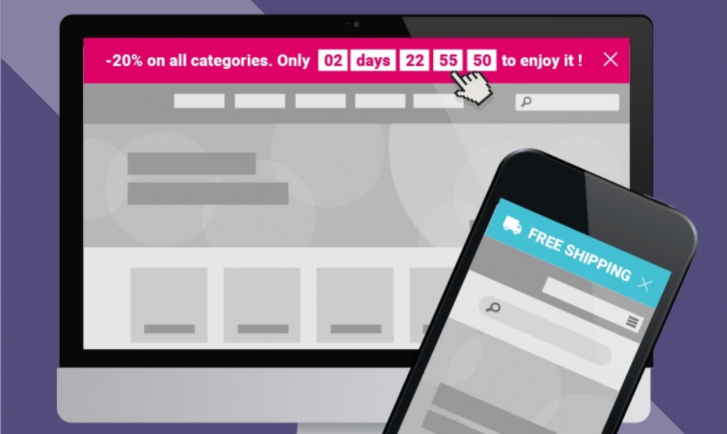 PrestaShop is here to help you get organized with 3 timed tips to schedule before your next sales. Get set! Go! Preparation time: 15 minutes of configuration (if there are several rules to implement). Everything is done directly in your administration interface (back office)! In the left-hand menu in your back office, go to the SELL section, then Catalog, and then click on Discounts. Then, simply choose “Catalog price rules”. 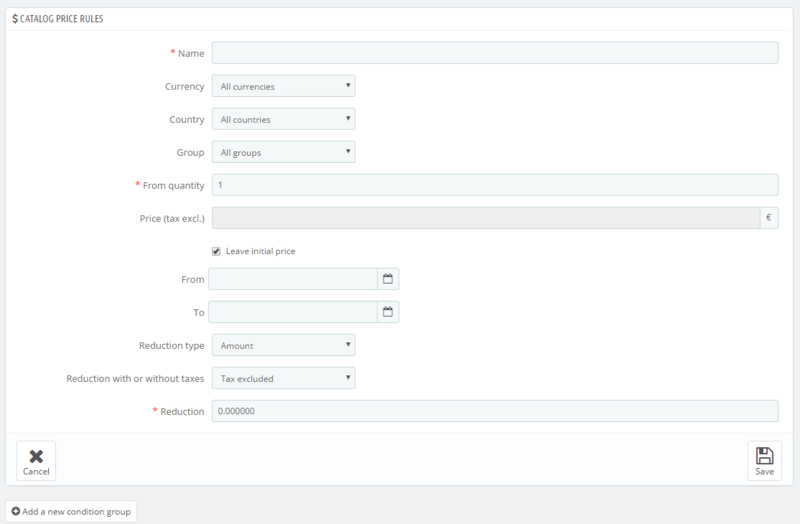 In the first form, you can enter the amount of discount (in numbers or as a percentage) as well as the desired dates. Then, click on the button in the lower left “Add a new group of conditions” to define the categories or manufacturers to which you would like to apply this sale. Need help? Everything is explained in the user guide from PrestaShop! Preparation time: set aside half a day to a full day between drafting text (even if the text is short, choosing sentences can be long), selecting images, configuration, uploading customer databases if you import them, etc. Of course, if you send the newsletter in several languages, also add in the translation time. The shortest sales are the most effective. However, they imply the widest ranging communication possible to generate a maximum of traffic. The more you communicate about your exceptional offer to a potentially interested target, the more visitors there will be to convert. Targeted newsletter, text messaging campaign, social network campaign, etc. Plan for everything that seems appropriate for your users and schedule the dispatch time for the morning of D day (pay attention to time zones when sending internationally, especially text messages that could harm your brand if received in the middle of the night!). 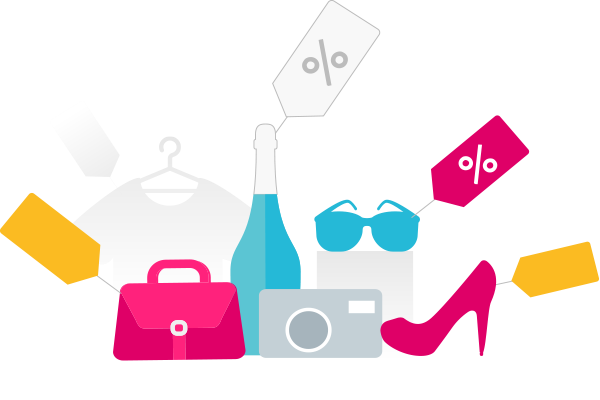 Important: For each medium, show the percent discount or the savings made as well as the sale’s end date. Sales banner: 5 minutes of configuration. Pop-up: 2 hrs. of graphic design + 5 min. of configuration. The sale must be seen no matter what page you land on: home page, product page found via search engine, etc. It must stay visible to encourage you to click on it but, above all, not stop you from browsing. The ideal tool is the top banner that is shown at the top of the screen, on all pages, and on which you can include a countdown timer to encourage impulse purchases. You choose the color, text, the call to action, the URL to direct to, etc. You can also show a pop-up on your store during the sale. Although pop-ups can nearly double your sales and your conversion rate during a sales period, you need to use it sparingly because it can hinder browsing and slow down your site’s load time. Preparation time: 10 min. (if you modify an existing reminder) to 30 min. (if you are adding a second one - for example: the first is sent 12 hrs. after the cart is abandoned; the second 24 hrs. later with an additional offer valid for one day only). Do you already send abandoned cart reminders to increase your store’s conversions? Take advantage of your sales to send ultra-incentivizing reminders with additional discounts. For this, simply configure an abandoned cart reminder with a 5% additional discount, for example. This reminder will be sent only during the sales period. Congratulations! Everything is ready, your sale has been calmly and effectively prepared. You even have a day to reread, check, and refine everything and carry out the last tests. You can also set up a message for social networks. Certain sites offer royalty-free images that will come in very handy to illustrate your sales, use them!